Kila Ka’aihue was traded to the Oakland Athletics today. 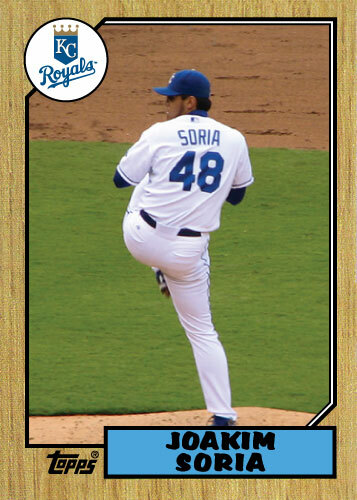 He will join David Dejesus and Coco Crisp who were Royals as recently as 2009. Ka’aihue was esentially given the boot by the new face of the Royals, Eric Hosmer. 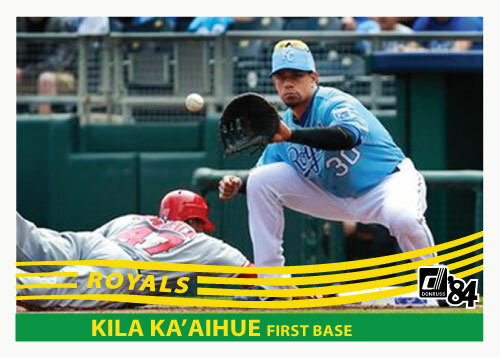 Ka’aihue didn’t produce at the major league level despite killing it in AAA Omaha for about 3 years and Hosmer’s emergence sealed his fate with Billy Butler already in place as Kansas City’s DH. What did the Royals get in return? It doesn’t matter. For the record it was a pitcher named Ethan Hollingsworth. The Royals basically needed him gone because there was nowhere for him to go (barring an injury) and the Kansas City fans had pretty much turned on him already. The question with Kila is; Did he get a fair chance in KC? He only played 26 games in 2011 for KC before getting sent down. 2011 brought his career total for games with the Royals to 87; hardy a great look for a prospect that tore up AAA. The clock was ticking on Kila however and he had his window; it was small but he had it. Good luck in Oakland Kila. I think that 1987 Topps has a lot of fanfare. I’m not really sure but I think a lot of people like it. It is very distinctive with it’s wood border and nice clean design. I think I am in the minority saying that I don’t like this set. I think it looks cheap and generic. It is iconic for the Bonds rookie and the classic Bo Jackson card but overall I think it is a miss by Topps. For the wood border I had no choice but to use a nice clean jpg file and put my graphics around it as I did with 1990 Topps and will be doing with 1968 Topps when I get to it. The font on this card is sloppy. Both mine and the real one. The font I used is Marker Felt and it is close; I don’t think it is right but it is very close. On the bright side this was a very easy card to re-create. It is simple but doesn’t really impress me very much. This is a card I have wanted to do for a while now. I actually had a really difficult time finding a picture of Francoeur throwing. He has been a consistent threat to throw baserunners out from right field all year and it made me think back to this ugly 1991 subset from score. It is a horrible design. First of all; I hate cards that cut out the background for no reason. It is just a cheesy looking card. 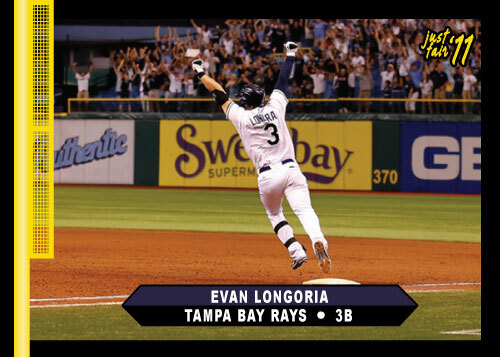 Like many retro cards they were so ugly they are kind of cool in a ridiculous way; I’m looking at you 1991 Fleer. So I wanted to give this card a whirl and it turned out alright. The green stripes in the background are off but it is at least close enough that anyone who knows the set will recognize it. 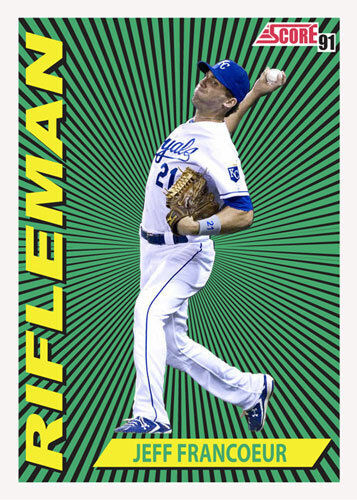 Of course Alex Gordon has more assists than Francoeur so I’d like to do one of him as well. Even Melky Cabrera has been in the top 10 in outfield assists much of this year so if I can find appropriate pictures I might do one of all of them. 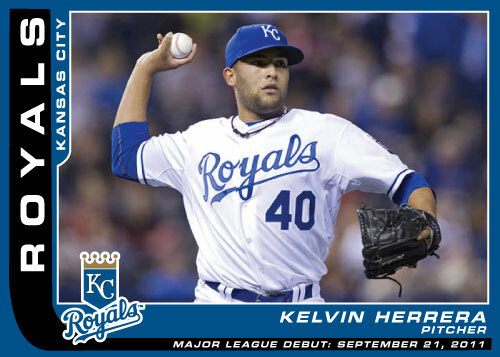 Kelvin Herrera has great stuff but his major league debut didn’t really reflect that fact. On his first major league pitch he hit a batter. Things didn’t get a whole lot better after that. His final line was 1 inning, 2 hits and 3 earned runs. He has the dreaded ERA of 27.00 for right now and received the loss in his very first game. Still a major milestone making it to the biggs for Herrera. Hopefully he will get opportunities to redeem himself in the bullpen in Kansas City next year.